Screen Queensland, together with Screen Australia and the IP Awareness Foundation, invite you to attend a robust panel discussion which will explore innovative distribution models and provide practical examples on how to develop a unique distribution approach to ultimately find your paying audience. We’re seeing trends online in which eyeballs do not necessarily translate into revenues for film and television content. This is, in part, due to a lack of willingness to pay, the popularity of free services such as Catch Up TV and a new set of expectations of the audience experience – that it should be: immediate, easy, ad-free and cheap or free. A panel of industry experts will come together to discuss the latest trends in viewer ‘screen’ consumption in which viewer numbers do not necessarily translate into revenue for content creators. The panel will talk about what these latest trends mean for our screen industry and there will be the opportunity for a Q&A following the panel discussion with audience members. Our panel of industry experts will seek to offer new insights, real world experience and useful case studies on the key industry challenges around distribution of local content. – Is access to film and television content the problem? – What business models do we need? – Must they be vertically integrated? – Should we be adopting platform agnostic models for funding? ​- Have the types of films Australian producers can make changed significantly? – What creative opportunities do SVOD services like Netflix, Stan and Presto represent for Australian producers? – What type of Australian movies will be screened in cinemas? Following the panel discussion you are invited to join us for a screen industry reception, 6.00pm – 7.30pm in the QMC foyer. Please note: catering and drinks will be provided to all guests. Cost: Free of charge. Bookings are essential. There will be a door list and name badges on the night, guests will be required to check-in on arrival. RSVP: Please register your details via the event booking page. RSVPs close 5.00pm on Wednesday 24 June 2015. 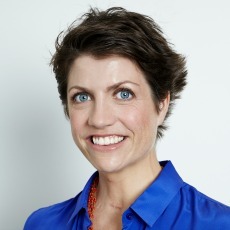 Georgie McClean is Senior Manager of Strategy and Communications at Screen Australia, the federal government agency responsible for film, television and digital content, where she oversees the development of an evidence base from which to develop and evaluate programs and policy levers for Australia’s screen sector. Georgie has over ten years’ experience in the Australian arts and media industry, including many years managing policy, research and community engagement at SBS. Georgie has a Doctorate in applied research on Media from the Institute for Culture and Society at UWS, a Masters of Communications from RMIT and a BA from the University of Melbourne. She has lived, studied and worked in Indonesia, Argentina and Japan and has a passion for facilitating engagement between ideas, research and practice. Richard Harris, Screen Australia’s Head of Business and Audience was previously CEO of the South Australian Film Corporation (SAFC). As SAFC CEO Richard introduced a suite of initiatives and programs that underpinned a resurgence in local production levels and built the creative and production company base in South Australia. In particular, he created FilmLab, the development program which nurtured a new generation of South Australian talent. He also oversaw the construction of Adelaide Studios. 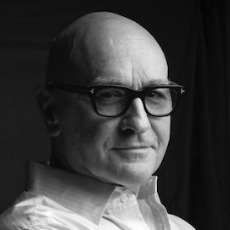 Prior to the SAFC, Richard was the Executive Director of the Australian Directors Guild. His previous experience included policy positions at the Screen Producers Association of Australia and the Australian Film, Television and Radio School. He has taught media policy at the University of Sydney and is the author of Film in the Age of Digital Distribution. In 2007, Variety labelled him one of 20 global film executives to watch and in 2010 he was listed as one of Encore’s ‘Power 50’. 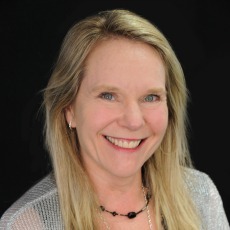 Lori Flekser has worked in the Australian screen industry since 1982. Her production experience includes documentary specials and series, reality TV, corporate videos, feature films and telemovies. 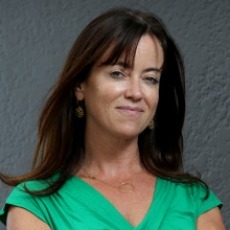 From 2003 – 2009 Lori worked at the AFC, the federal government funding agency, and was promoted to Director of Development. Lori was appointed General Manager of the Motion Picture Distributors Association in 2010. In July 2012 she took on the additional role of Executive Director of the IP Awareness Foundation, a not-for-profit organisation committed to promoting the value of screen content and the impact of piracy. 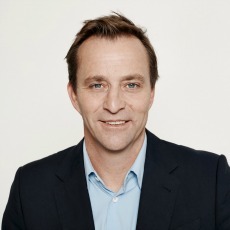 Greg Hughes is the Chief Executive Officer of the Dendy/Icon Group of companies. As a board member and director he is responsible for the operations of all companies in the group including Icon Film Distribution, Dendy Cinemas, Dendy New Zealand and Digiplex (trading as Dendy Direct). 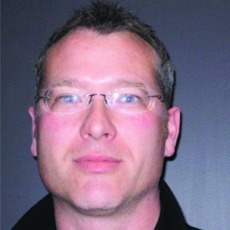 Greg has spent over 25 years in the entertainment industry, having joined the Dendy/Icon Group in 2006 as the General Manager of the newly formed Home Entertainment business unit he became Chief Operating Officer soon after Icon acquired the Dendy Cinema company in 2008 and was made Chief Executive Officer in 2012. Since joining Icon Greg has overseen the creation of the Home Entertainment division and helped manage the acquisition of Dendy Cinemas and Dendy Film in 2008 and the ensuing integration of those businesses into a single merged corporate group with Icon Film. In 2014 Greg oversaw the launch of Dendy Direct, a movie and TV Video On Demand platform which enables Dendy to extend its brand reach into the digital space. Greg also sits on the board of the National Association of Cinema Operators in Australia. Nathan is the Chief Creative Officer and Executive Producer at Emmy and BAFTA winning entertainment company Hoodlum. 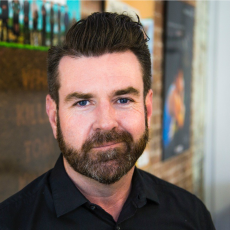 Nathan co-founded the company in 1999 with Tracey Robertson and Hoodlum is internationally recognised for innovation in multiplatform entertainment. Known for producing Fat Cow Motel, SLIDE and Secrets & Lies for Network Ten, Hoodlum is now producing the US network remake, currently in its second series. Having completed the pilot Strange Calls for NBC, Hoodlum is in development on several projects in Australia, USA and UK. Their digital business continues to innovate, leading the way in branded storytelling, games and interactive campaigns. Nathan creatively oversees the company’s project mix and continued exploration of new business models for content makers. Jamie Hilton heads See Pictures. His theatrical debut was Claire McCarthy’s The Waiting City, shot in India in 2009. 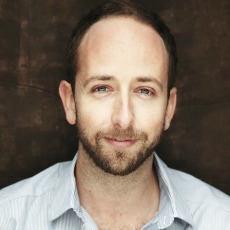 Jamie executive produced Julia Leigh’s Sleeping Beauty, which was selected in Official Competition at Cannes 2011. In 2014, Jamie produced supernatural thriller Backtrack starring Adrien Brody, directed by Michael Petroni; Josh Lawson’s The Little Death; and executive produced Wyrmwood for the Roache-Turner Brothers. Upcoming productions include the adaptation of Tim Winton’s Breath directed by Simon Baker; science-fiction OtherLife, directed by Ben C Lucas; Sierra, the life story of Sea Shepherd captain, Paul Watson; and Martha the Monster with writer/director Christopher Weekes. Daybreakers, and The Railway Man (Screen Producers Award for Best Film, The Australian Exhibitors Award for Highest Grossing Australian film). In 2011 he executive produced Bait 3D, the first 3D action movie in Australia and the first Singaporean Co-production with Australia. The film went onto be the 15th biggest opening in China for a foreign film of all time. Chris previously ran the Comic Strip Film Company and Won the Gold Rose of Montreaux and the UK TV Critcs Award for his film The Strike. In 2004 he won Independent Producer of the Year from the Australian Screen Producers Association for his contribution to the Australian Film. Chris has recently completed shooting in New Orleans, as executive producer on Beyond Deceit, starring Al Pacino, Anthony Hopkins, Josh Duhamel, Alice Eve, Malin Akerman and Byung–Hun Lee.